In a distant time and place, people are judged not for the color of their skin, but for the color of their blood. In the dual-class society of Norta, the magic-endowed Silvers rule over the lowly Reds—until a divergence appears in the form of the novel’s sassy, red-blooded heroine. When Mare Barrow defends herself with spectacular powers during a moment of unexpected peril, she draws the attention of the royal family. The royal family, in turn, decides to use her as a propaganda tool to quell their rebellious subjects, and bring her to the royal palace to pass off as a long-lost Silver princess. After Mare reluctantly allows herself to become integrated into Silver society, she is contacted by the Scarlet Guard, a Red rebel group that the Silvers see as a terrorist organization. At great risk to herself to herself, her friends, and her family, she agrees to help the Guard weaken the Silvers' malevolent death-grip. Now, I am sure that there are hundreds of teen readers out there who are the perfect audience for this book. If you like The Hunger Games, read it! If you like X-Men, read it! If you have a soft spot for generic love triangles, then by all means, knock yourself out. But as to my own opinion as a writer and adult reader? I hated it. I was bored from start to finish, and I’ll tell you why. 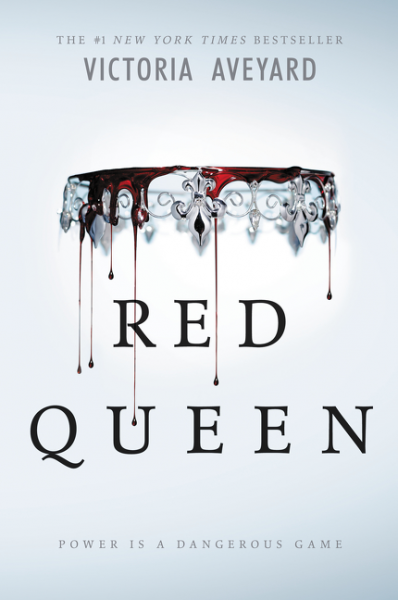 Red Queen is nothing more than another knock-off of current popular YA tropes. The writer takes a generic, misunderstood heroine, drops her into a generic dystopian society rife with vague injustices, and then gives her superpowers. Meanwhile, generic high school villains crawl out of the woodworks to bully her. The story itself is powered by events ripped straight from the news and history books. Now, while it’s perfectly okay to model a story from events taken from the news or from history, a good story will be so seamless that the reader won’t be able to take the story apart piece by piece and tell you exactly where everything came from. So, if you dislike love triangles, Mary Sue heroines, and bland villains, steer clear. If you are, in general, an unquestioning fan of romance and dystopian adventure, give it a shot. Just don’t say I didn’t warn you. Recommended for Ages 14-Up.